Can you imagine having the answer to thousands of questions about all kinds of subjects at hand? 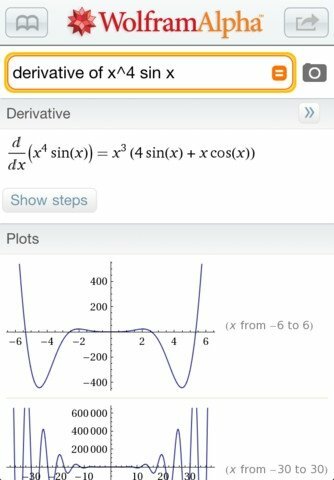 Well that's exactly what Wolfram Alpha for iPhone provides, without having to worry about what area of knowledge the question comes from. 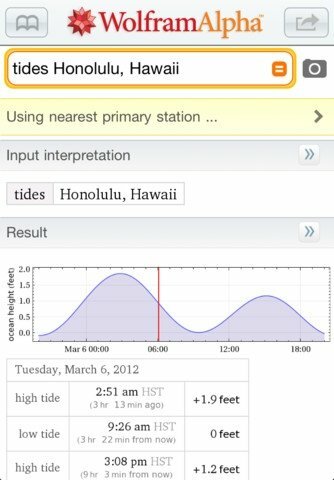 Wolfram Alpha will connect you to a super intelligent online computer that will process the questions and answer you as quickly and efficiently as possible using only as much battery as necessary, as all the information checked is stored on the cloud. 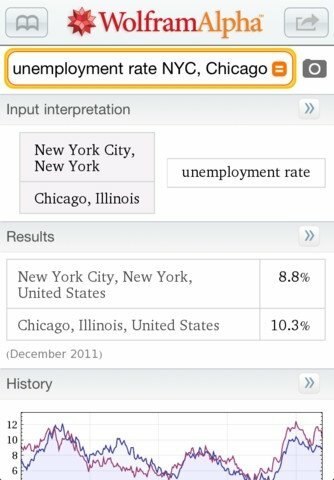 This application doesn't care if you are a financial analyst, nutritionist or philologist, because it can access vast amounts of information about almost any subject that exists. A source of wisdom for any field of knowledge. 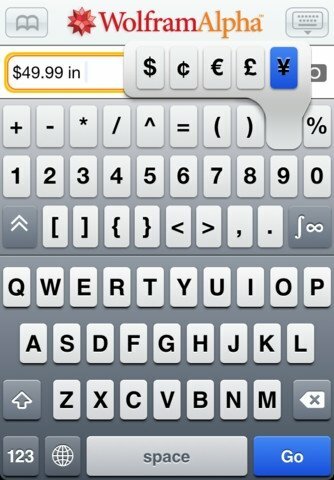 The design of this tool has been specifically conceived for iPhone with a very simple interface that will make it very easy to handle, including specialized keyboards based on the theme you want to look up, the option to copy and paste text and integration with maps and other applications on the device. 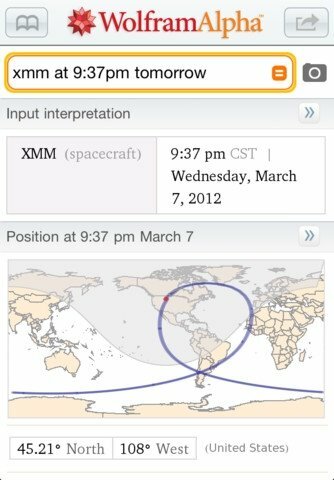 Download Wolfram Alpha and settle your doubts anywhere and anytime.